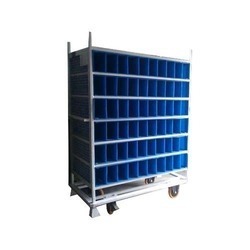 We are the leading supplier of Dunnage Trolley made available to our clients at competitive prices. 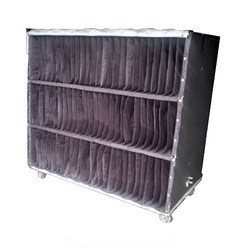 Pallet Racking Pigeon Hole Rack System is made from smooth and scratch free cloth. We have established a rapport with the industry by offering a quality-approved array of Material Handling Trolley. These trolleys are specifically designed with heavy load bearing capacity so as to meet the divergent demands of the customers. 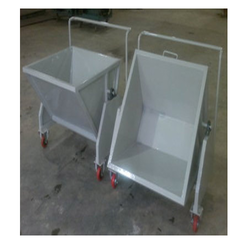 Our professionals ensure to manufacture the entire assortment of these trolleys from the best quality range of material obtained from the reliable vendors of the industry. In order to cater the diverse requirements of our customers, we are engaged in offering an extensive range of CNC Scrap Collection Trolley all over the country. They have smooth edges and are light in weight. We deliver them as per the exact requirements of clients. 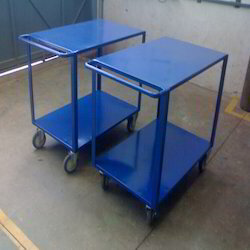 We are offering Customized Material Handling Trolley to our clients. We are offering Material Handling Trolley with Dunnage to our clients.